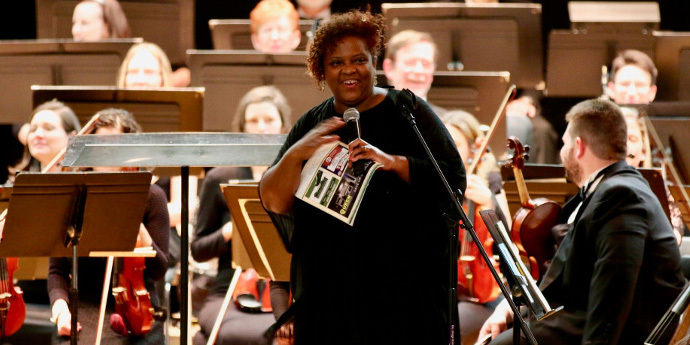 The Main Line Symphony is deeply saddened to learn of the sudden passing of our friend, viola section member, and board secretary Jennifer Grace Voiner. Jennifer was a friend to everyone in the orchestra. She brought her smile and positivity to every rehearsal and concert. 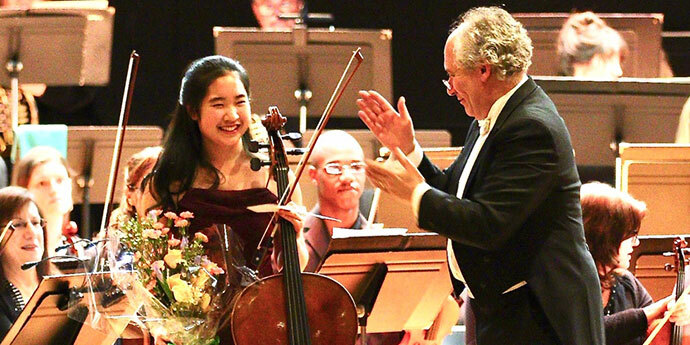 She was especially beloved by the members of her section and she will be deeply missed by the entire orchestra. The Main Line Symphony would like to extend our deepest condolences and sympathies to Jennifer's husband, 4 children, and family members. Our May 3rd concert at Valley Forge Middle School and May 5th Encore Performance at Keneseth Israel Temple will be dedicated to her memory. In lieu of flowers, Jennifer's family has requested that donations be made in Jeni‘s name to Main Line Symphony Orchestra. 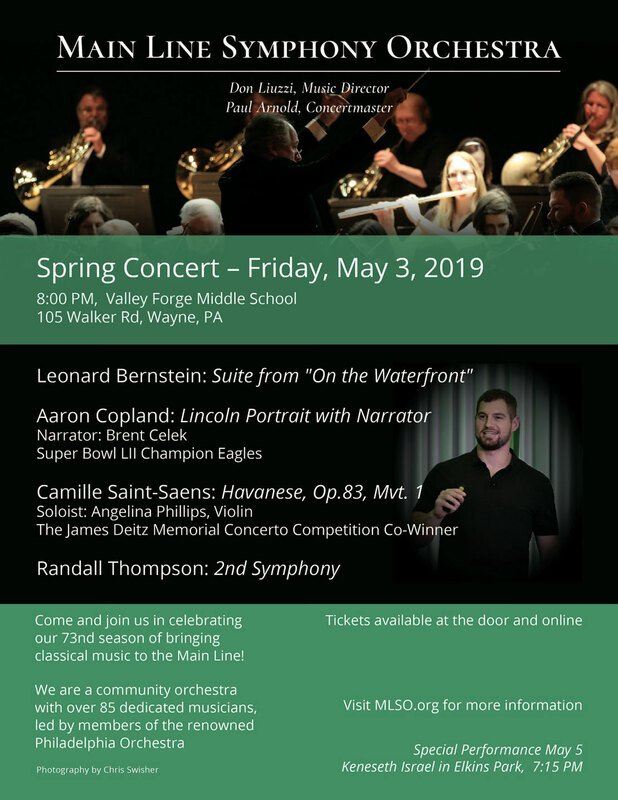 Now in its 73rd season, the Main Line Symphony Orchestra (MLSO) was founded on the principles of cultural preservation, educational outreach, and democratic organization that have made community musical ensembles a rich part of the American experience. 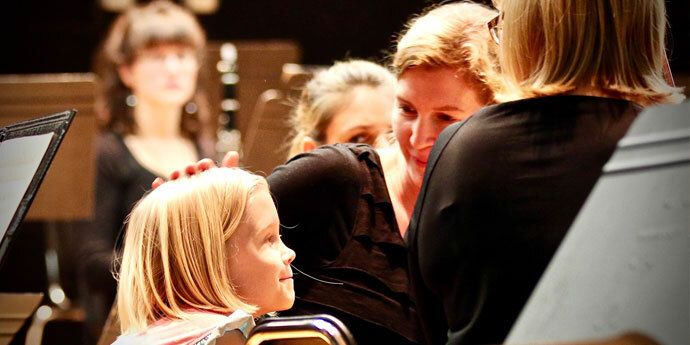 Rehearsing and performing in the Philadelphia western suburb of Wayne, Pennsylvania, the orchestra draws dedicated musicians of all ages who seek the challenge of performing both standard orchestral literature and new compositions. 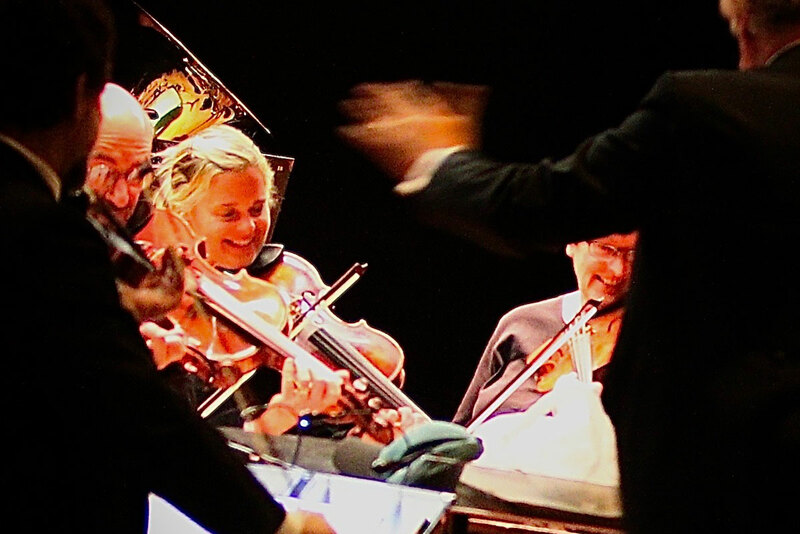 Each year, members have the pleasure of accompanying professional soloists under the guidance of Music Director Don Liuzzi and Concertmaster Paul Arnold. For many decades the MLSO has enjoyed a close relationship with members of the Philadelphia Orchestra as well as local college and conservatory faculty. Liuzzi is Principal Timpanist in that orchestra. In his three years as MLSO music director, Liuzzi has strengthened this association by recruiting soloists from the Philadelphia Orchestra (including the MLSO’s previous concertmasters Paul Roby and Jason DePue). Predecessors to Liuzzi, Roby and DePue were Philadelphia Orchestra bassist Henry Scott and violinist Yumi Scott. 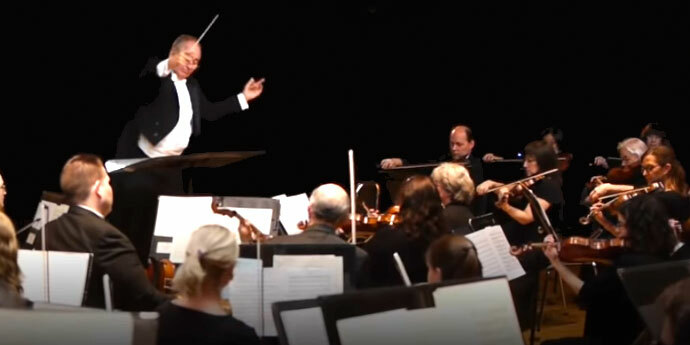 Both generously served in the same capacities for twenty-seven years, setting the standard for an exceptional orchestra committed to recruiting, welcoming, and mentoring players; serving the cultural needs of the community; and providing warm and engaging musical encounters for audiences from all walks of life. We hope you will add your name to our mailing list. We look forward to seeing you at our next concert!